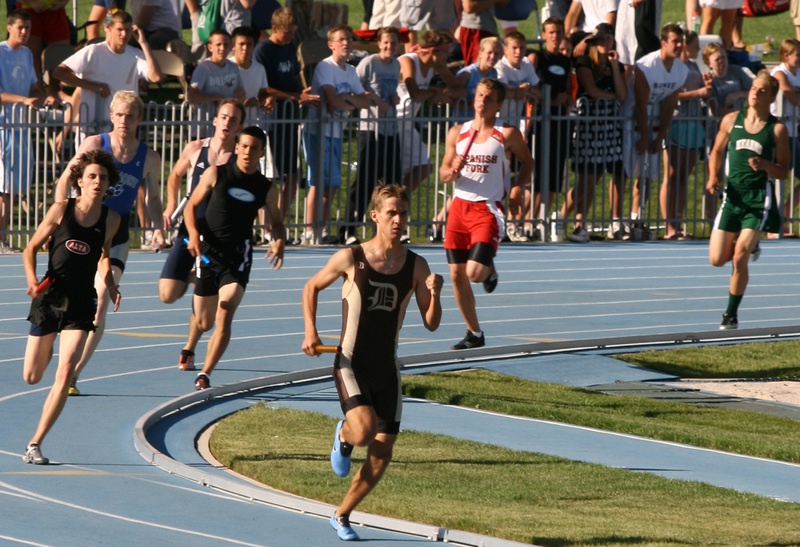 This photograph was taken by my brother showing Daniel leading the third leg of the 4×400 relay, the last race of the Utah State Championships Saturday 17th May 2008. His relay team won again this year and Davis High boys won the championship with 110 points. Second place went to Viewmont with 68 points. The Davis High girls took second. This photograph is one of my favorites.